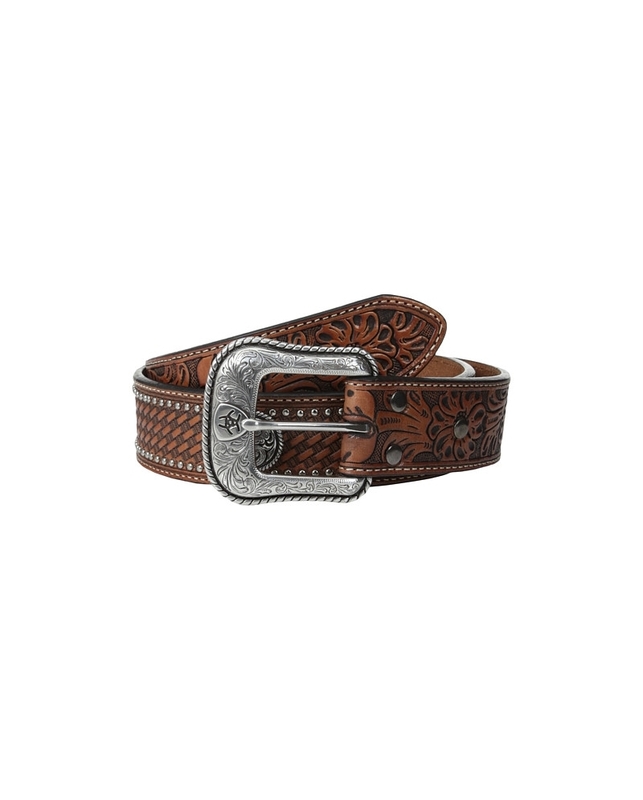 The Floral Tool Embossed Tab Concho Belt by Ariat® offers a sophisticated yet authentic Western style. 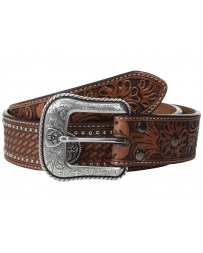 Full grain leather belt features a silver-tone concho, embossed floral and basket weave designs, silver-tone studs, and intricate stitching detail. 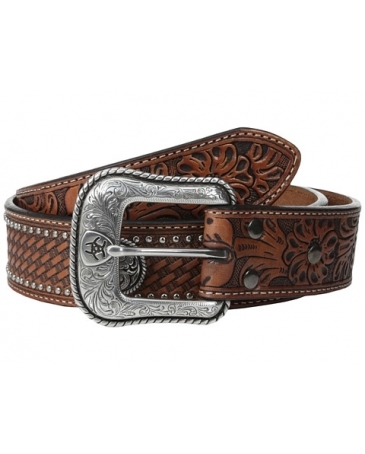 Intricately tooled silver-tone buckle with Ariat logo.